He would also create a baby version of the adult beast that would be bambi like, which was Fincher's ideas as well. 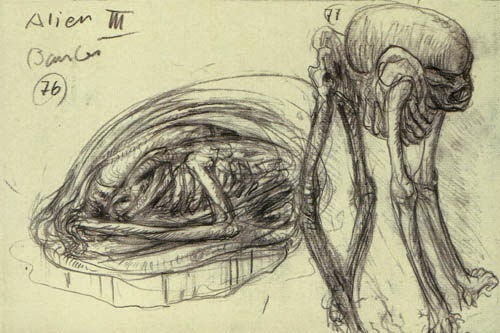 The ideas was to have something that wouldn't be ugly like the original chestburster in alien, and so Giger's first design for it have been seen as too nice like a little bare, so he made the feet longer, and so it was like a baby fawn as in Bambi, and at first this creature is a little helpless. 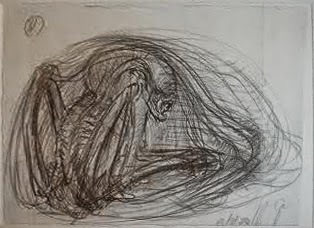 Giger's original ideas for the bambi burster was to show a creature sliding in a kind of a sack, out of the large ox in a hanger, and it burned it's way out of the animal using its acidic blood. 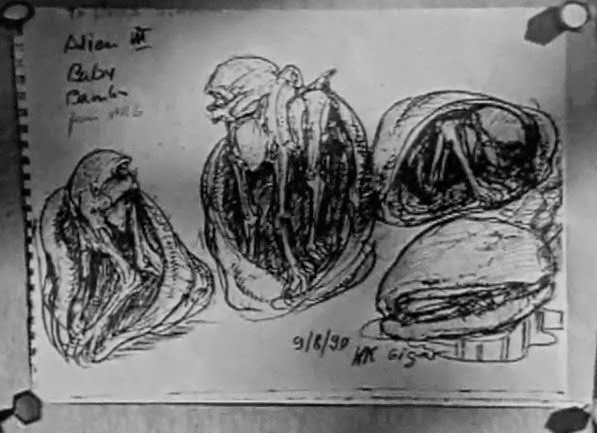 David Fincher actually liked what Giger had designed and wanted elements of this carried over into Gillis and Woodruff's Bambi Alien design so Gillis was able to admit. 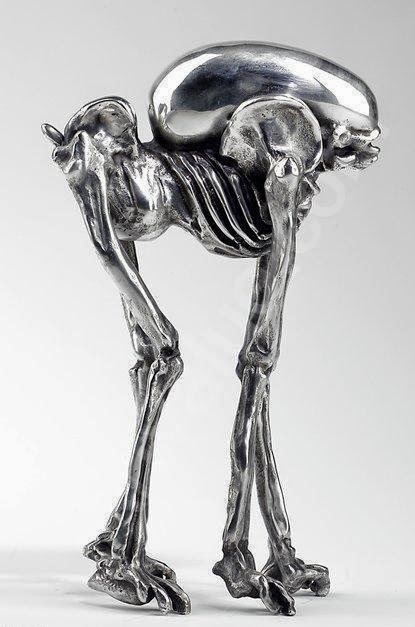 Giger: The bambi design, yes that was the idea of Mr Fincher, to have a bambi like... it shouldn't be like the chestburster... ugly thing... it should be bambi... so a creature you like right away but not too nice. And first my de... my first design was too nice, it has been like little bears, so I make it long, long feet and also a little.... like bambi is a little helpless. ITA: The Baby Alien sculpture I saw at the exhibition at the Alexander Gallery was great, but it wasn't in the movie.